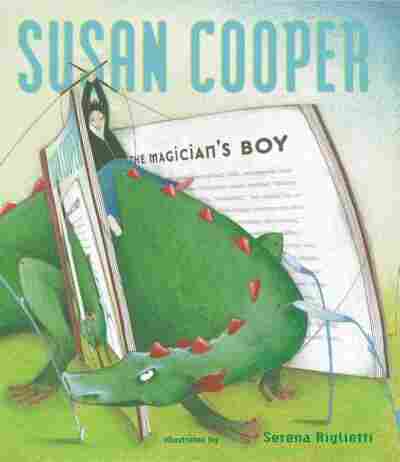 Excerpt: 'The Magician's Boy' In this summer book pick for kids, a boy grows tired of his apprenticeship to a magician which seems to consist mainly of polishing wands and washing rabbits. Get more suggestions from columnist John Kelly. A boy grows tired of his apprenticeship to a magician, which seems to consist mainly of polishing wands and washing rabbits. Perhaps by using his wits in the Land of Story -- and encountering such figures as Pinocchio and the Pied Piper -- he will prove himself worthy of true instruction. Read from this recommendation for young readers from Washington Post columnist John Kelly. There was once a Boy who worked for a Magician. Every day he polished the Magician's magic wands and the gold stars and moons on his great blue robe. He weeded the garden where the magic herbs grew, and crushed their seeds into powder for the Magician's spells. He worked very hard indeed. But he wasn't happy. More than anything in the world, the Boy wanted to learn magic -- but the Magician would not teach him. The Boy fed the six white rabbits that lived in a hutch in the garden, but he was always startled when he saw the Magician pull one of them out of somebody's hat. He washed the dishes in the kitchen, and watched enviously when the Magician picked up an empty jug and poured milk out of it. How did he do these things? "Master," he begged, "teach me! Teach me magic!" But the Magician always said, "Not yet, Boy. Not till the time is right. Not yet." When the Magician went out to perform, the Boy went with him, to help him on stage, and to catch any rabbits he might pull out of hats. The Boy loved those days, because then he had one really special job too. When the Magician performed, he always took with him a little puppet theatre in which he showed the play "Saint George and the Dragon" -- and the Boy was allowed to operate the puppets. 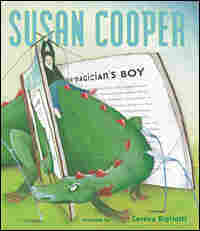 The Boy stood on a box behind the tiny stage, hidden by a curtain, and he pulled the puppets' strings while the Magician told the story of the play. It was an odd little play. One of the people in it was Father Christmas, but all he had to do was introduce the other characters to the audience. These were the wicked Dragon, who loved fighting; the Turkish Knight, who fought the Dragon but could never beat him; and the Doctor, who was there in case anyone was wounded. And of course there was the hero, Saint George. The Boy was especially proud of the way he made Saint George kill the Dragon, at the end. The wounded Dragon staggered round in a circle, puffed out three clouds of white smoke, jumped up in the air and fell down dead. (The white smoke was really chalk dust, puffed by the Boy from a little pipe.) The watching children always cheered at this, so the Boy was pleased. It wasn't magic, but it was the next best thing. One Christmas, the Magician and the Boy went to perform at a family party given by a Mr. and Mrs. Pennywinkle, in a grand stone house as big as a castle. "Mr. Pennywinkle is a very important person!" said the Magician, frowning at the Boy. "Everything must be perfect!" The Magician was a very tall man, with a beaky nose, black eyebrows like doormats, and a bristly mustache. He was alarming when he frowned. The Boy said, "Yes, Master! Of course!" He gave the magic wands an extra polish, he shampooed the rabbits, and he repainted the trees on the back wall of the puppet theatre stage. And off they went to the party.